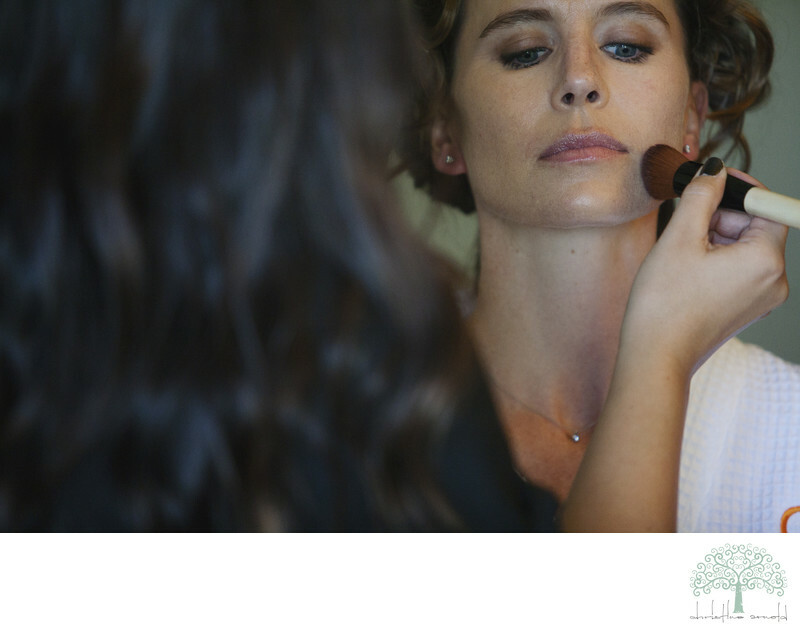 I love the documentary aspect of this image of Melissa having her hair and makeup done before her wedding. The spa experts at the Omni Rancho Las Palmas did such a fabulous job with all of the ladies. I truly believe that it's important to document the wedding day from beginning to end, that includes the bride and groom getting ready with their bridesmaids and groomsmen. Those are some of the most emotionally charged moments of the entire wedding day. The anticipation, the nervous energy, the humor and chaos, it makes for some of the most wonderful images! Location: 41000 Bob Hope Dr, Rancho Mirage, CA 92270. Keywords: Bride getting ready in Rancho Mirage (3).